Grammy nominated producer/DJ duo Galantis want you to make the official lyric video for 'Louder, Harder, Better' from their debut album Pharmacy. The creative direction is being left completely open, so let the music be your guide! The winning video will be selected by Galantis, personally. Deadline for entries is Thursday, March 17th, 23:59 GMT. The winner will receive $4,200 USD and have their lyric video uploaded to the Galantis YouTube channel. With a hit album, headlining major shows, and two Grammy nominations under their belts, producers/DJs Christian Karlsson and Linus Eklöw of Galantis had a stellar 2015. But the duo show no signs of slowing down in 2016. 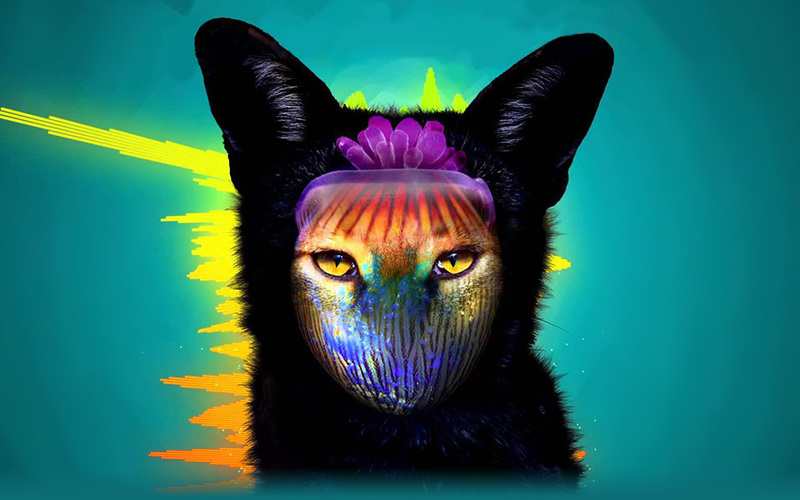 Galantis’ debut album, Pharmacy (Big Beat/Atlantic Records), was released June 2015. Since then, the album reached No. 1 on the Billboard Dance album chart on the strength of hit singles like “Peanut Butter Jelly” and “Runaway (U & I),” went gold in three countries and has streaming numbers upwards of 430 million. Galantis’ popularity continues to grow after every live show thanks to their infectious energy, and their fans’ fascination of The Seafox (the mysterious creature who encompasses all things Galantis). Standout shows include Electric Daisy Carnival in Las Vegas, Coachella in Indio, CA, Miami’s Ultra Music Festival, Lollapalooza in Chicago and NYC’s Electric Zoo. The story of Galantis started back in 2009. Working as Bloodshy, Karlsson’s songwriting collaborations included Madonna, Kylie Minogue, Katy Perry and Britney Spears (whose “Toxic” earned him a Grammy award), but only reached out to Eklöw (as Style of Eye, who produced Icona Pop’s hit single “I Love It”) to remix “Animal,” a single from Karlsson’s band Miike Snow. Shortly after, the two started hanging out, playing each other songs and sharing bits of ideas in the recording studio. As Galantis, Karlsson and Eklow released the self-titled EP in 2014. The duo’s transcendent sound, encapsulated in singles like “Smile” and “You,” won over the likes of fellow DJs/producers Pete Tong, Diplo, Tïesto, Porter Robinson, Kaskade and A-Trak. The overwhelming feedback from the two singles was enough proof that Karlsson and Eklöw were onto something. “We felt the urge to fill the dance world up with songs and with songwriting,” Eklöw says. “We realized, this is Galantis, this is our band,” Karlsson adds. That like-minded thinking helped create Pharmacy. “It’s almost like telepathy,” says Eklöw. “You get it from being in the studio together for a long time, but we also share a lot of common interests in music.” “Finally, I have someone who works like me,” says Karlsson. The duo’s shared philosophy has earned them two Grammy nominations from their work on Pharmacy. “Runaway (U & I)”-which hit No. 1 on the iTunes Dance Charts in 15 different countries-is nominated for “Best Dance Recording” and “Best Remixed Recording” for its Kaskade remix. Galantis has truly been a phenomenon in dance music. With a synergy yet unrivaled by any Dance artist, the duo’s inspirational sound and riveting on-stage performance will continue to resonate with fans worldwide. This video is a mix of motion graphics and hand draw animation done exclusively for this video. Through figures, movements and shapes we represent the emotions we feel when we hear the song. As the excitement, passion, speed and wild.